The circumference of the Earth is 40075 km (24900 mi). So, if we want a building to have an angle of 1°, it needs to be at the distance of 40075 km / 360° = 111 km (69 mi). 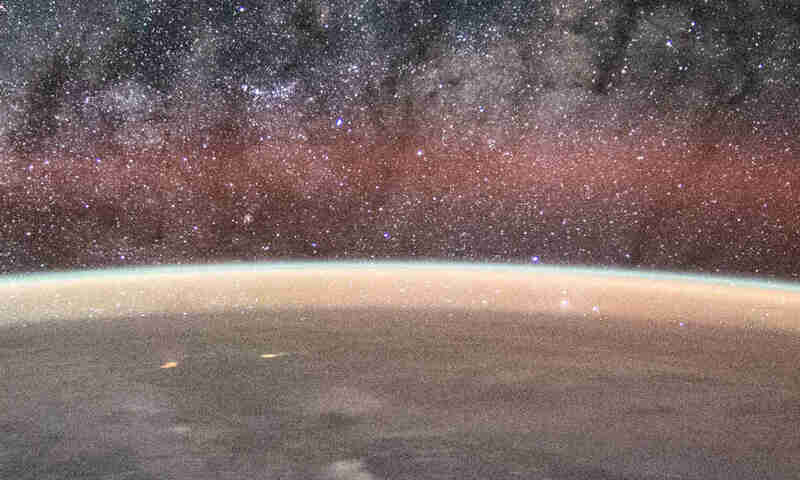 But, at the distance of 111 km, about 800 m (2625 ft) of the building will be obscured by the curvature of the Earth! We can’t even observe the building at this distance. Currently, only Burj Khalifa is visible from 111 km. Even then, only the very small upper part of it is visible. An angle of 1° is also not very much of an angle. We can’t really tell if a building is straight or slanted 1°. At least not without using a precise instrument. 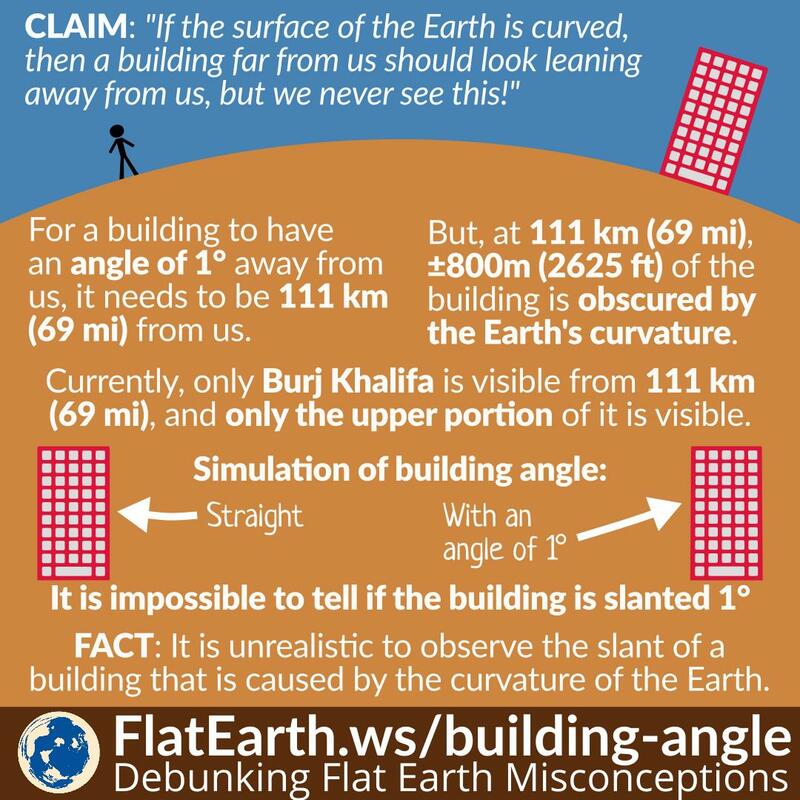 So, no, it is unrealistic to observe the slant of a building that is caused by the curvature of the Earth.